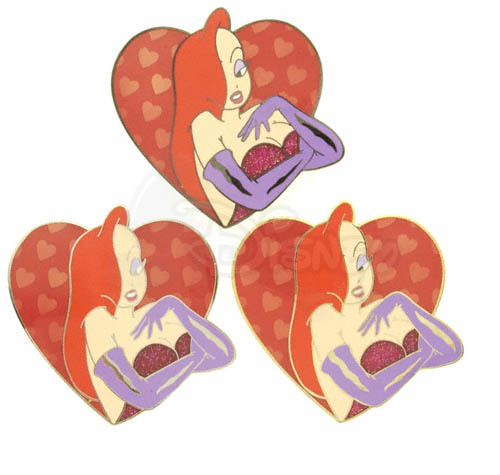 After the release of the popular Jessica Rabbit 6-Pin set on Disney Auctions website in 2004, another series was released - although they were sold seperatly and through the Purchase It Now Store - so there was no worry of a heated auction. 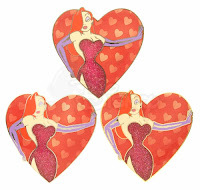 This was something still fairly different for Jessica, and you had your choice of four different pins. 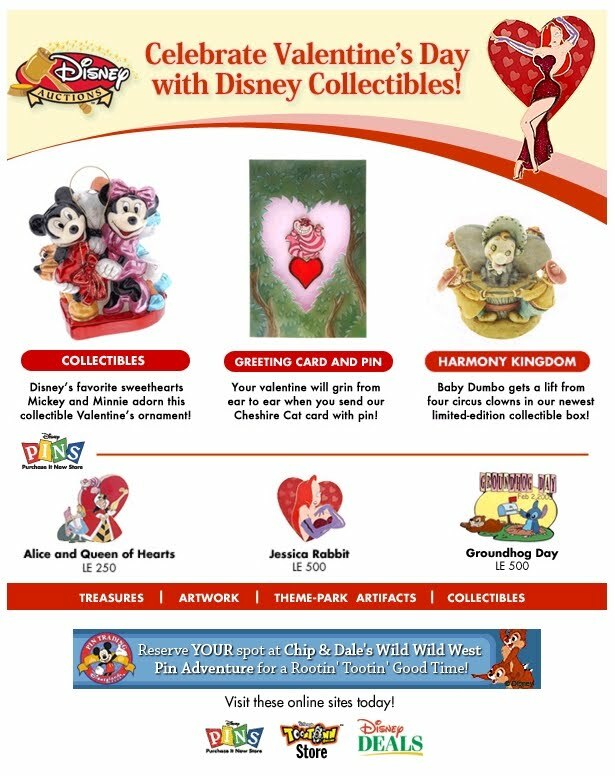 Disney began to push their new Auctions and Purchase It Now Store a bit more, and also realized the popularity of Jessica, adding her to the front pages and in special emails. The Jessica Rabbit Hearts Series was available January 3rd, 2005 - along with a bunch of other Valentine's Day inspired pins. 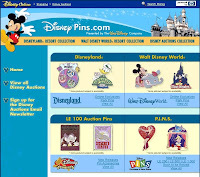 They were all a Limited Edition of 500, as was common for the Purchase It Now Store Pins. 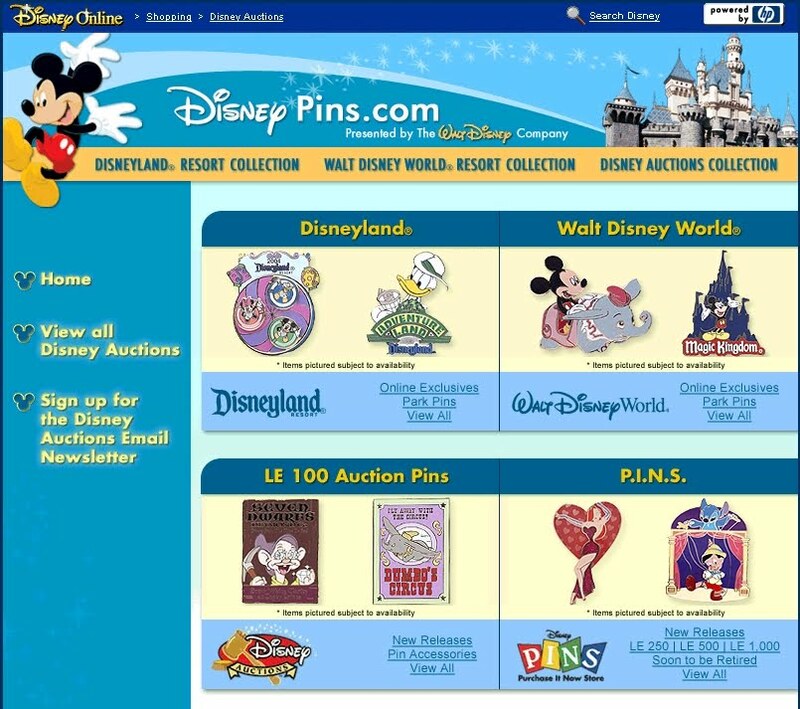 The first two pins were easy to confuse since they looked so similar. They did leave her hair covering the correct eye, but they did flip the slit on her dress. The only real difference here are the positions of her legs. 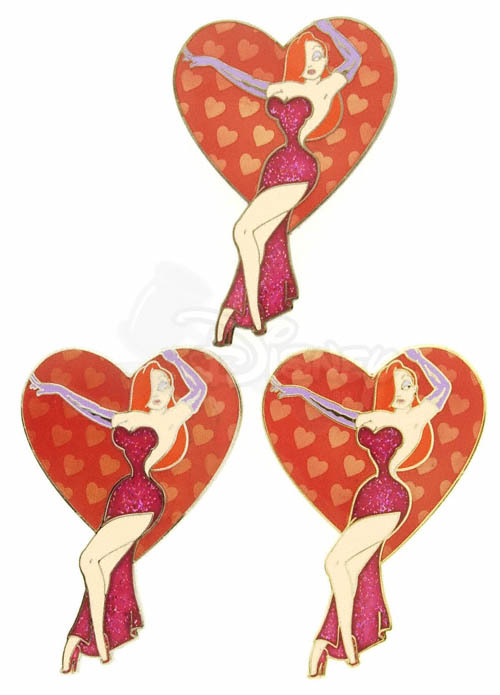 The next two pins were very different. One was a close up of Jessica with her arms crossed. The other was a waist-up pose. 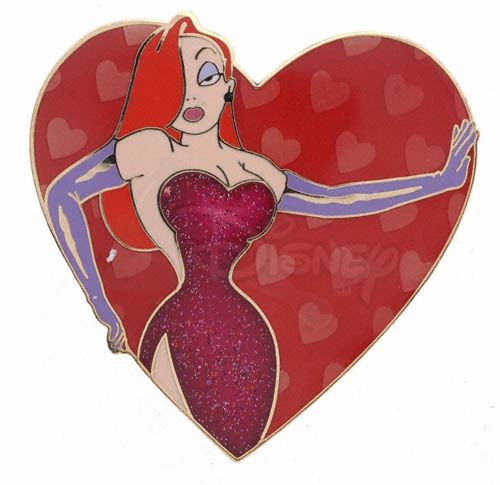 Both look fairly nice, although her eyes look pretty strange, which has been a top customer complaint with pins for years now. 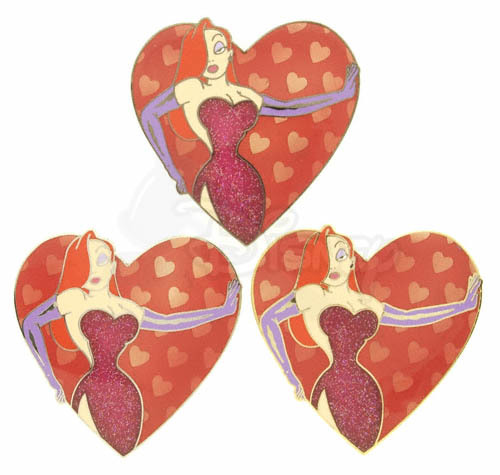 These pins were pretty interesting, as they not only had glitter elements on Jessica's dress, but the background heart also contained smaller hearts that were part of the pin metal. 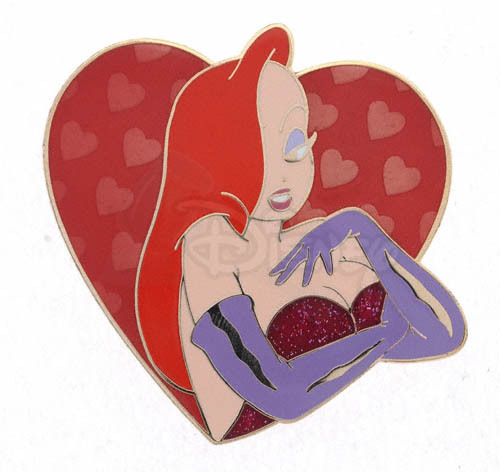 The small raised hearts could be seen since the large heart was filled with clear red. 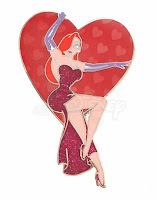 The glitter dress was not the usual that Disney as used. Rather than having consistent glitter throughout, it seemed like the glitter was later mixed in and much more sparse. They also auctioned off artist proofs of each pin, again in the usual gold, silver and black metal variations. 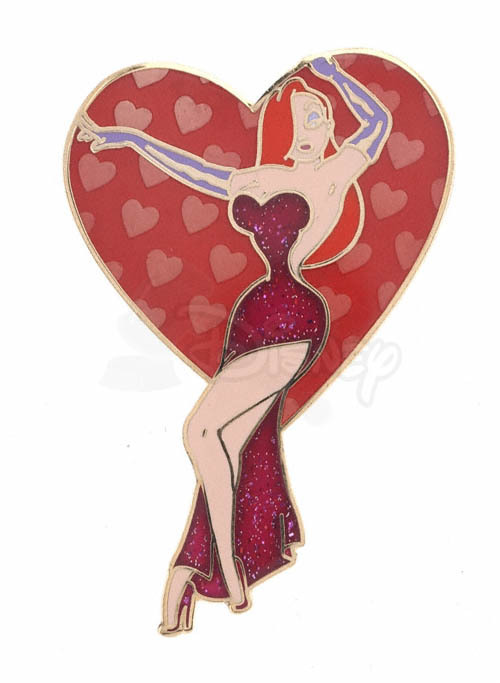 The Jessica Rabbit P.I.N.S. 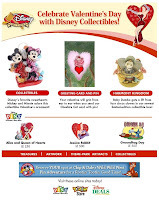 Hearts Series gets a 3½. 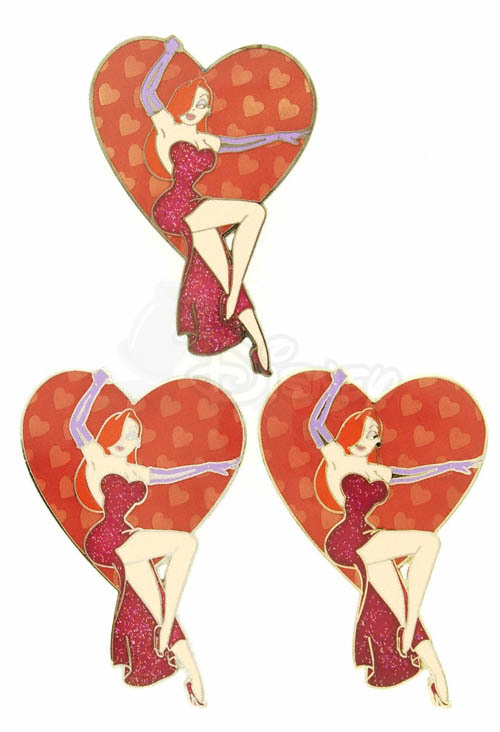 It's a nice series, but her face is odd and they reused one pose making the first two pins look very similar.